WILLIAM WEST HUNT, M. D., one of the leading physicians of East Providence, where his name has been well known for the past three decades, is a member of a family which for generations has been associated with this region and that part of Massachusetts lying near to Rhode Island. The Hunt family was founded at Rehoboth, Mass., in the early Colonial period, and various lines of descent from the immigrant ancestor, Lieutenant Peter Hunt, are represented at Attleboro and Seekonk, Mass., and at East Providence, Barrington and Pawtucket. (I) Lieutenant Peter Hunt was at Rehoboth, Mass., as early as 1643, when we have record of him as being one of the proprietors of that town. He was a freeman there, June 4, 1645, and was also a town officer. He was married to Elizabeth Smith, daughter of Henry and Judith Smith, who came from Norfolkshire in England. Mr. Hunt's will was probated December 26, 1692, and he was buried on October 21, of that same year. His widow survived him until 1724, when she was also the widow of Isaac Williams, whom she had married later. Lieutenant Peter Hunt and his wife were the parents of the following children: Sarah, born Jany. 21, 1646; Judith, April 12, 1648; Peter, Jr., June 11, 1650; Enoch, Feb. 28, 1652; Elizabeth, March 1, 1654; John, Oct. 15, 1656; Mary, June 15, 1658; Ephraim, mentioned below; Tabitha, Sept. 14, 1663; Daniel, Feby. 14, 1665; Benjamin, Sept. 29, 1668, and Nathaniel, Dec. 31, 1670. Lieutenant Peter Hunt, according to the author of the genealogy of the Hunt family, which was published in 1862-63, was a son of Enoch Hunt, who came from Tittenden, in the Parish of Lee, England, and who was at Weymouth, Mass., in 1640, and a town officer in 1651. Enoch Hunt's wife, Dorothie, was formerly the widow of ------ Barker. Enoch Hunt died before 1647, his wife surviving him. (II) Ephraim Hunt, son of Lieutenant Peter and Elizabeth (Smith) Hunt, was born March 31, 1661, at Rehoboth, and died at that place, May 9, 1694, having resided there all his life. He married Rebecca -----, who survived him, later marrying David Carpenter, of that place. To Ephraim Hunt and his wife the following children were born: Daniel, July 12, 1687; John, mentioned below; Sarah, Oct. 16, 1690; and Hannah, June 26, 1693. (III) John Hunt, son of Ephraim and Rebecca Hunt, was born March 9, 1688, at Rehoboth, and made his home there during his entire life, and there his death occurred October 15, 1751. He is spoken of in the old records as Lieutenant Hunt. He married, December 11, 1712, Susannah Sweeting, and they were the parents of the following children: Sarah, born in 1716; Susannah, March 26, 1718; John, Feby. 20, 1719; Isaiah, July 16, 1721; Hannah, Oct. 1, 1722; Simeon, mentioned below; Elizabeth, Aug. 21, 1726; Levi, Dec. 22, 1730; and Mollie, March 17, 1732. (IV) Simeon Hunt, son of John and Susannah (Sweeting) Hunt, was born January 15, 1724, at Rehoboth, Mass. It was Simeon Hunt who first came to Providence, R. I., where the latter part of his life was spent. He married Elizabeth Donnison, and they were the parents of the following children: John, mentioned below; Simeon, Jr., born May 3, 1757, died Jany. 12, 1758; Simeon, Jr. (2), May 4, 1761. (V) John (2) Hunt, eldest son of Simeon and Elizabeth (Donnison) Hunt, was born July 11, 1755, at Providence, R. I., and died there May 31, 1819. He married Ruth Straight, and they were the parents of the following children: Simeon, born March 11, 1789, died in 1872 at the town of South Cortland, N. Y.; Eliza D., born April 24, 1791, at Providence, died in that city, Sept. 18, 1872; Nancy, born June 7 or 9, 1793, died Aug. 1, 1794; John, born Aug. 8, 1795, died Sept. 31, 1795; John Donnison, born July 2, 1796, died Aug. 16, 1796; William Donnison, mentioned below; Mary Ann, born Oct. 3, 1800; and Abby S., born April 11, 1809. (VI) William Donnison Hunt, son of John (2) and Ruth (Straight) Hunt, was born December 29, 1797, at Providence, R. I., and made his home in East Providence during part of his life. He was the owner of a large tract of land where Watchemoket Square in this city is now located. He was also the owner at one time of what afterwards came to be known as the old Mauren farm. In about 1836 he sold his properties in East Providence and purchased a large farm at Rehoboth, where he spent the remainder of his days. He was a very successful farmer and became noted in this connection throughout the entire community. He was a man of broad and liberal views and of excellent judgment and strong character, and a great believer in the power of education, so that he saw to it that his children had very superior advantages in this way, and as many as seven of them afterwards became teachers in the surrounding towns of Rehoboth, Swansea, East Providence, Pawtucket and Taunton. For many years he was a selectman of Seekonk, and also represented that place in the General Assembly of Massachusetts for a considerable period. William Donnison Hunt married, February 19, 1821, Lydia J. Chase, and they were the parents of the following children: Ann, born June 7, 1822, who became the wife of a Mr. Goff, of Attleboro, and the mother of Major W. H. Goff; John, born March 6, 1824, who was afterwards a member of the Massachusetts General Assembly; William D., born Oct. 19, 1825, died Oct. 28, 1847; Sarah Chase, born Oct. 15, 1827, became the wife of Horace G. Smith; Elizabeth Peck, born Feby. 11, 1830, became the wife of George H. Carpenter; Catherine Jenks, born Feby. 11, 1832, made her home at Rehoboth; Samuel M., born Feby. 17, 1835, died in California in 1894; Simeon, mentioned below; and George Henry, born Dec. 16, 1839, died in Feby., 1905. (VII) Dr. Simeon (2) Hunt, son of William Donnison and Lydia J. (Chase) Hunt, and father of Dr. William West Hunt, of this sketch, was born April 27, 1837, at Seekonk, Mass. He became a very famous physician at East Providence, where he established the practice which his son now continues so successfully. In childhood he attended the local public schools of Seekonk, and afterwards became a student at the famous Friends' School of Providence, where he was prepared for college. He then entered Dartmouth College, where he took the usual classical course, and was graduated in 1862, with the degree of Bachelor of Arts. As a young man he determined to adopt the medical profession, and before his graduation from Dartmouth had already begun the study of this subject under the direction of Dr. Phineas Spaulding, of Haverhill, N. H., in the winter of 1861. After leaving Dartmouth, he continued his medical studies under Dr. A. B. Crosby, of Hanover, and Dr. William D. Buck, of Manchester. He was one of the seven members of his family who became a teacher and acted as instructor in a number of schools, both public and private, between the years 1857 and 1863. He also took two courses of lectures at Dartmouth Medical School, from which he was graduated in October, 1864, with the degree of Doctor of Medicine. Immediately thereafter he went to Corry, Pa., where he engaged in the practice of his profession, and later continued his practice at Springield, Erie county, in that State, until 1867, in which year he returned to East Providence, and from that date until his death, which occurred in 1916, continued to practice here. At the time of his death he was the oldest physician of East Providence, and a man who was looked up to and admired by the entire community. He developed a very large practice and enjoyed a popularity during the many years of service here second to no physician in the community. While a student at Dartmouth College, Dr. Hunt became a member of the Kappa Kappa Kappa college fraternity, the only chapter of this fraternity, being founded by Daniel Webster, Rufus Choate and Charles B. Haddock, in 1842. He was also a Phi Beta Kappa man, and in 1878 was honored with the degree of Master of Arts by his alma mater. He was for many years an active member of the Providence Medical Association, the Rhode Island Medical Society, and the American Medical Association, and was also affiliated with the American Public Health Association. He was a charter member and afterwards an honorary member of the Rhode Island Medico-Legal Society, and held the position of medical examiner for the Tenth District of East Providence for six years, between 1885 and 1891, being appointed to this responsible post by Governor Bourne. He was also a prominent Free Mason, being a charter member (1864) and past master of Rising Son Lodge, Ancient Free and Accepted Masons; and a member of Providence Chapter, Royal Arch Masons; Providence Council, Royal and Select Masters; Calvary Commandery, Knights Templar; Palestine Temple, Ancient Arabic Order Nobles of the Mystic Shrine; Rhode Island Consistory, Scottish Rite; and of the Veteran Masonic Association. 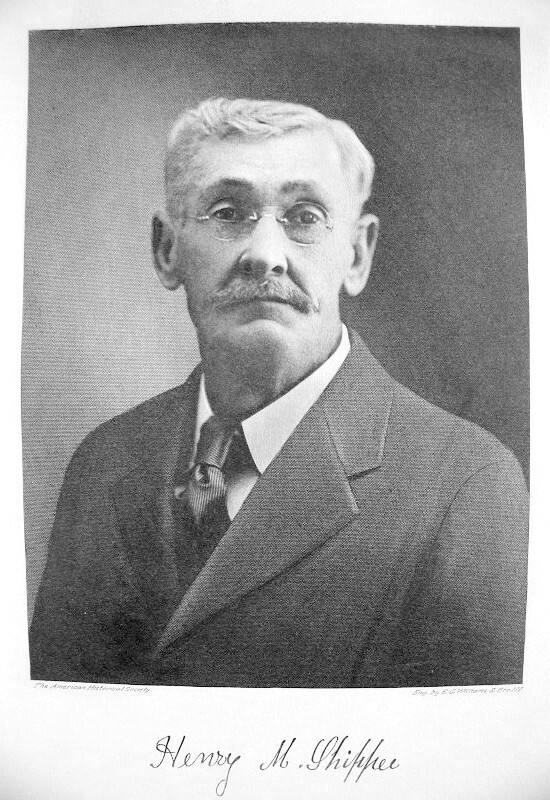 He also served his town as health officer from 1885 to 1887, and as a member of the school committee from 1886 to 1888. Dr. Simeon Hunt married, October 25, 1865, Anna M. Balch, a daughter of Samuel W. Balch, of Lynn, N. H., and they became the parents of the following children: Charles Balch, born Sept. 2, 1866, died in infancy; William West, mentioned below; Charles Balch (2), born July 24, 1869, died in infancy; Fred Balch, born Jany. 8, 1872, and was drowned Aug. 2, 1882; Archie John, born Nov. 3, 1878, and now resides in Mexico, where he is engaged in the occupation of assayer. (VIII) Dr. William West Hunt, son of Dr. Simeon (2) and Anna M. (Balch) Hunt, was born April 22, 1868, at East Providence. During his childhood Dr. Hunt attended the East Providence grammar school and afterwards the Classical High School in this city, from which he was graduated with the class of 1886 and where he completed his preparatory studies. He then entered Dartmouth College, but a year later left that institution to enter the medical school at Columbia University of New York City. It is natural that his early association with his talented and successful father should suggest to him the idea of following in his footsteps so far as his career was concerned. He continued his studies at Columbia University until 1890, when he was graduated with the medical degree, after which he did some special hospital work in the Hood-Wright Hospital. He then returned to Rhode Island and entered the Rhode Island Hospital at Providence, remaining associated with that institution in the surgical out-patient department for fourteen years. In the year 1890 he joined his father in general practice in this city, and continued thus engaged at the same time that he worked for the Rhode Island Hospital. He is now recognized as one of the leading physicians of this community, and is carrying on the splendid traditions established by his father of ability and absolute adherence to the highest ethical standards of his profession. Like his father, he is a prominent Mason, having attained the thirty-second degree of Free Masonry, and is a member and past master of Rising Sun Lodge, No. 30, Ancient Free and Accepted Masons, of East Providence; Providence Chapter, No. 1, Royal Arch Masons, of Providence; Providence Council, No. 1, Royal and Select Masters, of Providence; past commander of Calvary Commandery, No. 13, Knights Templar, of Providence; Palestine Temple, Ancient Arabic Order Nobles of the Mystic Shrine; and Rhode Island Consistory, Sovereign Princes of the Royal Secret; past patron of Naomi Chapter, Order of Eastern Star. Besides these Masonic bodies, Dr. Hunt is affiliated with the Improved Order of Red Men and the Ancient Order of the United Workmen, of which latter he is a charter member and has been medical examiner since its organization here. He is also past master workman of this lodge. Dr. Hunt has also been police surgeon for many years, and is a member of the Providence Medical Association, the Rhode Island State Medical Society, and the American Medical Association. In politics Dr. Hunt does not identify himself with any party, but is an independent voter. Dr. William West Hunt was united in marriage, May 11, 1892, at East Providence, with Eliza A. Johnson, a daughter of Pliny F. and Phoebe (Mann) Johnson. Dr. and Mrs. Hunt are the parents of two children, as follows: 1. Frederick Johnson, born February 24, 1894; he was a student at the grammar school and Classical High School of East Providence, and afterwards attended Brown University, where he graduated with the class of 1915, being one of the honor men of this class; he received at that time his degree of Bachelor of Arts, and afterwards had the honorary degree of Master of Arts conferred upon him by his alma mater; he received his Phi Beta Kappa in his junior year and Delta Zeta Phi in senior year; he is at present connected with the trust department of the Rhode Island Hospital Trust Company; Frederick Johnson married Josephine Johnson, a lady who is no relation of his in spite of the identical name, and they are the parents of one child, Elizabeth Anna Hunt. 2. Arthur Balch, born July 26, 1897; he attended the grammar school and Classical High School of Providence, and afterwards was a pupil at the Rhode Island State University at Kingston for a short time; he is now taking a commercial course at the Bryant & Stratton Business College, Providence. WILLIAM ANGELL VIALL is of the eighth generation of the family founded in New England by John Viall, who became an inhabitant of Boston, January 11, 1639, and was made a freeman, June 2, 1641, and on the same date joined Boston's first church, the Old South Church. This John Viall is he who purchased the 'Ship Tavern' in Boston as early as 1662, and remained its proprietor until 1679. The 'Ship Tavern' figures prominently in early Boston annals, and is one of the early famous Boston inns. John Viall moved to the Narragansett country in 1679, bought land at or near Annawomscott brook, and died February 26, 1685. John Viall, the founder, was succeeded by his son, Benjamin Viall, a prominent citizen of Barrington, Mass., now Rhode Island, the line continuing through his son, Nathaniel Viall, a constable in Barrington in 1743; his son, Benjamin (2) Viall, he the father of Nathaniel (2) Viall, a private in the Revolutionary Army, and a pensioner of the Government on account of his army service. Nathaniel (2) Viall married Patience Richmond, who traced descent in the eighth generation from John and Priscilla Alden, both of the 'Mayflower', she being the daughter of John Rogers and Hannah (Kinnicutt) Richmond. Nathaniel Viall, the Revolutionary soldier, was the father of Anson Viall, of Barrington, he the father of Richmond Viall, and the grandfather of William Angell Viall, this review especially dealing with the lives of these two men of the seventh and eighth generations. Richmond Viall was born in Barrington, R. I., December 16, 1834, and died in Providence, November 16, 1911. He attended public schools in what is now East Providence until seventeen years of age, then spent a term of four years as apprentice to the jeweler's trade in Providence, his employers being Briggs, Hough & Stone, the young man making his home with Mr. Hough, and being employed as a jeweler until 1861, then until January 5, 1863, was in the employ of Handell Daggett, a manufacturer of calvary sabres. On January 4, 1863, he returned to Providence and at once began his association with J. R. Brown & Sharpe, an association which existed forty-eight years, and was only dissolved by death. Mr. Viall began as a machine hand, January 1, 1864, was then advanced to foreman of a department, and eight years later, in 1872, he was given full charge of the sewing machine department of the company's business. 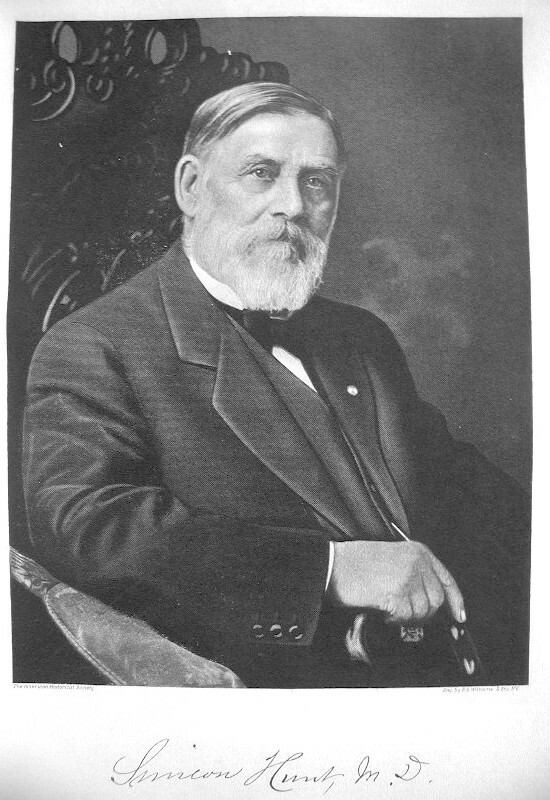 Six years later, February 16, 1878, he was promoted to the superintendency of the entire plant, a position he filled until his death, November 16, 1911, the company in the meantime having increased in size time and time again, the Brown & Sharpe Company being one of the greatest of America's industrial manufacturing corporations. Mr. Viall had a hand in this wonderful expansion, and no name is held in higher regard among the men of the past who built up the great business then its long-time general superintendent, Richmond Viall. 'Able director of men and deviser of methods. Richmond Viall married, June 1, 1859, Eliza Nelson Cole, and they were the parents of William Angell, of further mention; Richmond Irvin, born Nov. 6, 1863, died June 10, 1875; and Albert A., born Sept. 5, 1871. 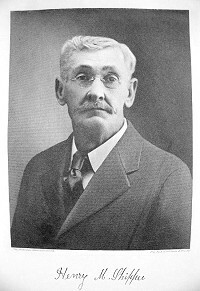 William Angell Viall was born in East Attleboro, Mass., October 26, 1861, but in 1863 was brought by his parents to Providence, R. I., where he was educated in the graded schools, high school, and Brown University. His university training consisted of a special laboratory course in chemistry at Brown, and later, in 1886, he went abroad and for two years was a student in Germany, specializing in chemistry. In 1888 he returned to the United States and at once began a two years' engagement at Cornell University as instructor in pharmacy. On September 1, 1890, he entered the employ of Brown & Sharpe Manufacturing Company, and was elected secretary of the company in 1906, a position he now holds. He is a vestryman of Grace Episcopal Church, Providence; a Master Mason of Orpheus Lodge; a companion of Providence Chapter, and a sir knight of Calvary Commandery, Knights Templar; his clubs the University, Turk's Head, and Wanamoisett, all of Providence. Mr. Viall married, June 10, 1891, Harriet Elizabeth Warner, daughter of Carlos J. and Nancy (Loring) Warner, of Medina, Ohio. Mr. and Mrs. Viall are the parents of two daughters: Katherine, born Dec. 1, 1892, died July 23, 1893, and Virginia, born November 12, 1894; and a son, Richmond (2) born June 26, 1896, at present a lieutenant in the Royal Air Forces. HENRY PAIGE -- When just preparing to step into the rank of nonogenarians, Henry Paige received his final summons on March 6, 1918, having spent sixty of his years, eighty-nine, in the city of Providence, where he was living retired at the time of his death. He was a son of Martin Paige, of Hardwick, Mass., an expert dyer, who in the pursuit of his calling lived in many New England towns until ill health compelled his retirement, his last years being spent with his son in Providence, where he died December 7, 1872. He was a descendant of Nathaniel Paige, who came from England to Roxbury, about 1685. On the organization of the new government, June 2, 1686, he was appointed one of the two marshals of Suffolk county, and in 1688 bought land in Billerica, now Bedford, Mass., upon which he settled. He was one of the eight purchasers of lands from the Indians, from which the town of Hardwick was later erected, and a month later the same persons purchased the lands now embraced in the towns of Spencer and Leicester. He was a man of wealth and by will bequeathed his lands at Billerica, his wild land at Quaboag (Brookfield), and Worcester, to his two sons, Nathaniel and Christopher, and two hundred acres in Dedham, bought from the Indians in 1687, to his two daughters, Elizabeth and Sarah. From this ancestor sprang Martin Paige, who died December 7, 1872, father of Henry Paige, to whose memory this review of a long and useful life is dedicated. The Paige ancestry also traces in maternal line from Governor Dudley, of Massachusetts. Henry Paige was born in Lowell, Mass., in 1829, and died in the city of Providence, R. I., March 6, 1918. After completing his school years he became clerk in a store at Baldwinsville, Mass., there remaining several years. He was next employed in a wholesale grocery in Boston until 1850, going thence to Providence, R. I., where he had two brothers, Frederick A. and George Paige, in business, they having located in the city about 1848, succeeding the old College street firm, Stimson & Hodges, groceries and provisions, the new firm trading as G. & F. A. Paige. Henry Paige secured a position with his brothers, and continued an employee until the death of George Paige, when he was admitted to a partnership, the firm reorganizing as F. A. Paige & Company. Henry Paige continued actively engaged in business until 1888, when Paige & Company sold their business to F. P. Garrettson. From that time Henry Paige was not actively engaged in business, but during the thirty years of his retirement took an active interest in all current affairs and aided by counsel and example in many movements tending to advance the common good. He was a member of the Providence Board of Trade for many years, was an ardent Republican, and attended the First Congregational Church. Mr. Paige married, August 22, 1859, Caroline M. Warner, daughter of Giles Warner, of Hardwick, Mass. Mrs. Paige died December 4, 1893, leaving a son, George W. Paige, born in Providence, June 2, 1860, educated in the public schools, and for many years was associated with his father in the grocery firm of F. A. Paige & Company. After that firm sold out he spent six years with a Boston house, the returned to Providence, entering the employ of the Mercantile Mutual Fire Insurance Company, in the office department. He is now engaged in the life insurance business representing the Pacific Mutual. He is a member of the Narragansett Boat Club. Mr. and Mrs. Henry Paige were also the parents of daughters: Mary S. and Caroline M., the last named the widow of John C. Knight, and the mother of a son, Henry D. Knight. HENRY MANCER SHIPPEE -- The 'Shippee Settlement' in the ancient town of East Greenwich, Kent county, R. I., was the birthplace of several generations of the ancestors of Henry M. Shippee, now retired, of Washington, R. I. Thomas Shippee, great-great-grandfather, was born at the 'Settlement' and built the house there. He was a member of the Rhode Island General Assembly, and was one of the signers of the declaration pledging assistance to the colonies, and appropriating money. Thomas Shippee was a grandson of David Shippee, the earliest known Shippee in Warwick, R.I., he being of record there in 1664, the year of his marriage to Margaret, daughter of Thomas Scranton. In the record he is styled 'of Maidfields', his wife 'late of Warwick, now Providence Island'. He lived in Kingstown, East Greenwich, and Providence, R. I., the date of his death later than 1718. David and Margaret Shippee were the parents of: Elizabeth, Mary, Samuel, David Thomas and Solomon, all except Samuel living in Providence and Smithfield, R. I.
Samuel Shippee, son of the founder, married, December 29, 1702, Ann Leithfield, and lived in East Greenwich, R. I., where he died in 1740, his will being proved September 27, of that year. His widow survived him, their children being Samuel, Stephen, Thomas, Elizabeth, Ann, Mary, Margaret, Sarah and Deliverance. Thomas Shippee, son of Samuel and Ann (Leithfield) Shippee, was born in East Greenwich, and there lived, the father of the 'Shippee Settlement'. He sat in the Rhode Island General Assembly of 1776, and was a staunch patriot, bearing his full share of the public responsibilities of the day. He married, December 24, 1732, Hannah Matteson, daughter of Thomas and Martha (Shippee) Matteson, their children being recorded in East Greenwich vital statistics. Children: Almy, born April 11, 1734; David, Aug. 26, 1739; Samuel, Aug. 22, 1742; Caleb, of further mention; and Thomas, Jan. 26, 1751. Caleb Shippee, son of Thomas and Hannah (Matteson) Shippee, was born in East Greenwich, R. I., August 23, 1747. He married, February 12, 1775, Alice Cooper Collins, daughter of Cupper Collins of Coventry, R. I. Their children entered in East Greenwich records are: William, born March 15, 1776; Allen, March 18, 1778; Hannah, Feby. 26, 1782; Loise, July 16, 1784; John, Sept. 21, 1786; and Lodowick Updike, of further mention. These children were born and reared in the 'Shippee Settlement' of East Greenwich, R. I., so many descendants of David Shippee having settled there that section was generally called by the family name. Lodowick Updike Shippee, son of Caleb and Alice Cooper (Collins) Shippee, was born August 23, 1789. He learned the trade of machinist, being engaged in that business for many years, having a shop in Centerville, and in Compton [sic], R. I. He married Mary E. Spencer, and they were the parents of three sons, all born in the 'Shippee Settlement', East Greenwich, R. I.: Mancer C., of further mention; Wanton, born in 1827; Christopher A., born in 1837, who became one of the substantial citizens of East Greenwich, and from 1871 to 1880 was postmaster of the village; Henry; Isaac; Lodowick U., Jr.; Margaret; and Maria, died in infancy. Mancer C. Shippee, eldest son of Lodowick Updike and Mary E. (Spencer) Shippee, was born June 1, 1818, and died at the old homestead in the 'Shippee Settlement' (Shippeetown), March 8, 1895. He attended the district school, and early in life began learning the machinist's trade with his father. At the age of nineteen he became a mill worker, learning weaving, and ranking as boss weaver for twenty years, from 1837 to 1857. He continued to be a weaver, and then for a number of years he was superintendent of the Usquepagh Mill of South Kingstown. During the Civil War period he lived at the old homestead in Shippeetown, which was his home until death. He was a member of the Six Principle Baptist Church, and a man of deep piety, especially interested in Sunday school work, and serving for many years as the superintendent of the Sunday school. Mancer C. Shippee married Harriet Rahama Dawley, who died March 5, 1895, three days prior to the death of her husband, their funeral services being held on the same day. Their children were: Sarah, born in 1840, married James Holland, a contractor and builder in East Greenwich; Moses, died in childhood; Mary E., married Charles Tarbox; Aaron, married Mary Eliza Nicholas, of Coventry, R. I.; Amanda, married David Vaughn, and moved to California; Delia B., married Nathaniel G. Carpenter, of East Greenwich, R. I.; Ella R., married Colvin Gardner; Henry Mancer, of further mention; Moses E., a real estate dealer of East Greenwich, married Sarah Aylesworth, of North Kingston [sic], who are the parents of a daughter, Marion E.
Henry Mancer Shippee, son of Mancer C. and Harriet R. (Dawley) Shippee, was born in 1859, at Shady Lea, in South Kingstown, R. I., but a few years later was taken to the homestead at Shippeetown in East Greenwich. He attended the Shippeetown public school and upon arriving at a suitable age learned the the carpenter's trade with the contracting firm of Holland & Shippee. He became an expert workman in wood, and about 1890 began contracting under his own name. He continued in successful business as a contractor, also built several houses for himself which were later sold, although he is still the owner of a great deal of real estate and residence property in Washington, R. I. He retired from business about four years ago and is now residing there, retired from business cares, his time occupied with the management of his own estate. He has no political ambitions, and has persistently refused to accept office although often urged to become a candidate. He is a member of the Six Principle Baptist Church. Mr. Shippee married Edna Priscilla Johnson, daughter of Philip and Tryphena Howe (Greene) Johnson, and a granddaughter of Philip Johnson and of Benjamin and Abbie Greene. In 1917 Mr. Shippee bought the place in East Greenwich in which he was married forty-one years ago, in 1877. Mrs. Shippee is the owner of the old Johnson homestead farm. Henry M. and Edna P. (Johnson) Shippee are the parents of six children: 1. Henry Elmer, married Anna R. Rathbun, of Washington, R. I. 2. Charles Ernest, married Winnie Carr, of Sterling, Conn. 3. Gertrude May, married James Bigbee, of Washington, R. I., and has a daughter, Gertrude Edna Bigbee, married George E. Greene, and resides in Coventry, R. I., and they are the parents of two children, Marjory Hazel and James Elmer Greene. 4. Jessie Christine, married Henry Amend, of Harris, R. I., and has two sons, George Henry and Raymond Stanley Amend. 5. Gerald Arthur, maried Helen Ada Barns, and they have a daughter, Edith Priscilla Shippee. 6. George Edwin, married Flora Andrews, and they are the parents of two children, Elmer Mancer and Gerald Andrew Shippee.